Chicago guitarist Fareed Haque derives inspiration from his dual South Asian and South American heritages in his unique approach to improvisation. Classically trained Haque also excels at interpreting the western musical canon. Kaia String Quartet is a young, dynamic ensemble that specializes in Latin music. 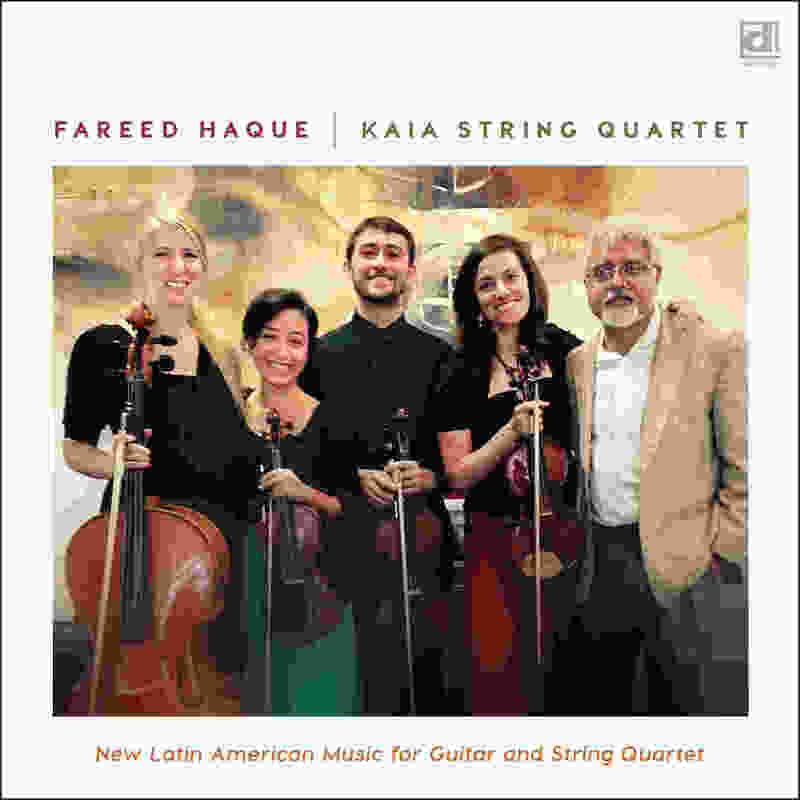 On New Latin American Music For Guitar And String Quartet Haque and Kaia interpret four modern Hispanic pieces. Argentinian tango master and bandoneon player Astor Piazzolla penned the 1991 “Five Tango Sensations” originally for himself and the Kronos Quartet. On this recording Haque has transcribed the impressionistic suite for guitar as he and Kaia fully express the emotion within each movement with intensity and brilliance. Haque sits out Uruguayan multi-instrumentalist, and Delmark label co-owner, Elbio Barilari’s passionate “Canyengue”. The string quartet imbues the tune with playful sensuality and thrilling agility. The album closes with Cuban guitarist 1957 “Quintet for Guitar and Strings”. The stimulating interaction between Haque and the group is the hallmark of this intriguing work. The music gracefully transitions from folk and popular motifs to more stately orchestral themes. This free-flowing fusion of styles gives the composition, and this refreshingly original version, its captivating charm. New Latin American Music For Guitar And String Quartet is a rare and unique album in the Delmark catalogue. It has enough classical “street cred” to satisfy purists and, simultaneously, it is accessible to wider audiences because of its romantic lyricism and vibrant harmonic colors.